Honesty & real data about the cleanliness in your choice of dining experience. Eating in Restaurants Doubles Your Risk of Getting Sick. 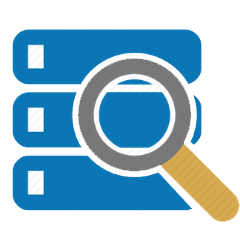 HDScores Adds and Updates Our Detailed Inspection Data on a Regular Basis from Multiple Jurisdictions. 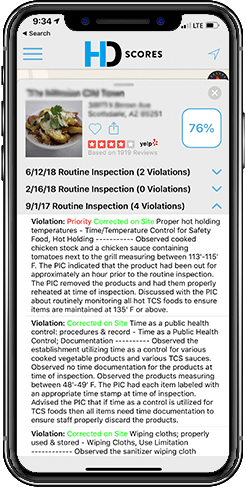 Search for any restaurant or food- serving establishment within our health inspections scores app. This is including but not limited to; schools, nurseries, restaurants, hospitals, stadiums etc. 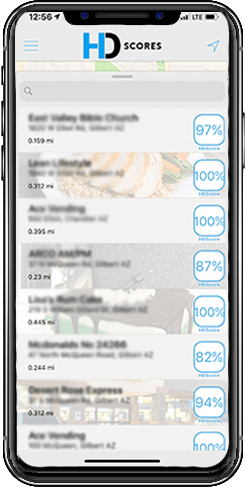 Next to the name an HDScore will appear automatically with the restaurant’s/establishment’s health department ratings. This score is a historical based value from 0-100%. The closer to 100% the cleaner that place is. 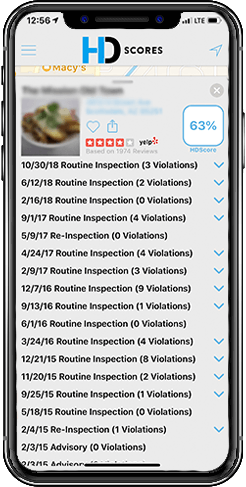 By clicking on your place of choice will create a drop-down list of all previous health inspections scores and their detailed notes by the inspector themselves. Where do you get your data from ? Our data is provided by public health inspectors and their local health departments. We pull data from their public websites each week and publish new scores that reflect any new inspections. 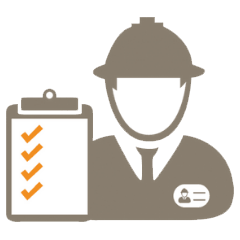 Do you conduct health inspections? No, we don’t physically conduct health inspections ourselves, we rely on the health inspectors for that. 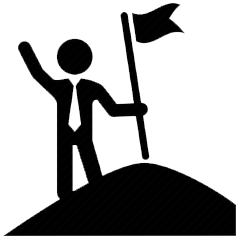 What if I own an establishment and have a concern with my score? 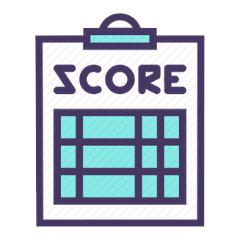 Are the scores based on a national standard? Yes, a HDScore is calculated the same across the country. 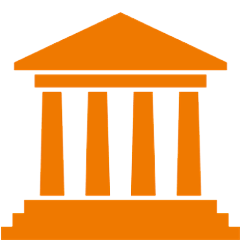 Are you a government agency ? 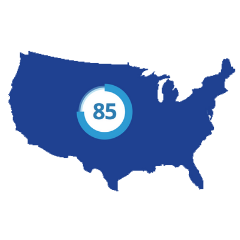 Over the past six years, HDScores has built a database that covers 73% of the entire United States. We pull data from 42 states (1,743 counties) that aggregate reports from a jurisdictional database weekly. We have now flagged over 28 million violations by the health department and a total of 10,981,943 inspections. 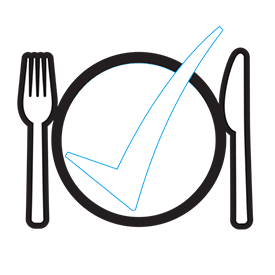 Awareness of these violations can help protect consumers when eating out. The latest food safety news and information nationwide.